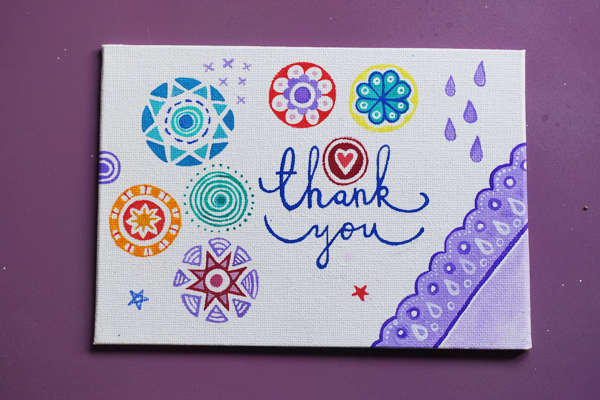 + A hand-painted postcard on a piece of cardboard for a lovely lady named Maria. 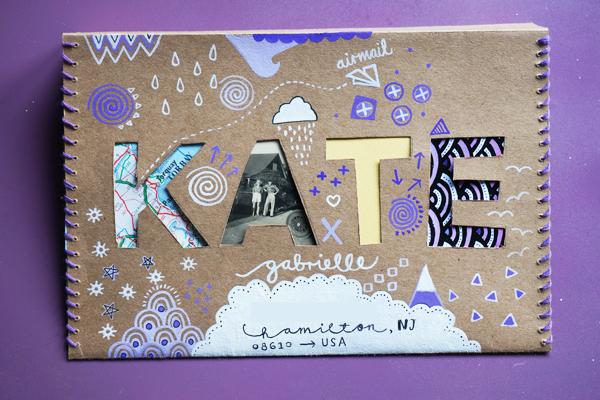 + A little letter for Kate. I love cutting out the letters of words and sticking patterned paper behind them. + A package for the fantastic Miss Mary. I can't wait for her to receive this package. She has sent me many lovely things in the past and is such a sweet person. I hope she likes the contents! Also, it never fails to amuse me that Mary lives in Maryland. + A painted canvas postcard for a sweet lady named Monica. Remember when I used to send lots of mail? I really enjoyed it - it was a good time in my life and it made me be creative every day and I think about it fondly. However, I know I can never return to letter writing in that way again (writing 10+ letters per week) - it was a bit like a full time job and I didn't have a job at the time, so it kind of was my full time job! Very occasionally I still send a postcard or letter, but I don't put any pressure on myself to write them. Sending and receiving so much mail was (often wonderfully) overwhelming and it has taken me a long time to get back to wanting to send mail again. 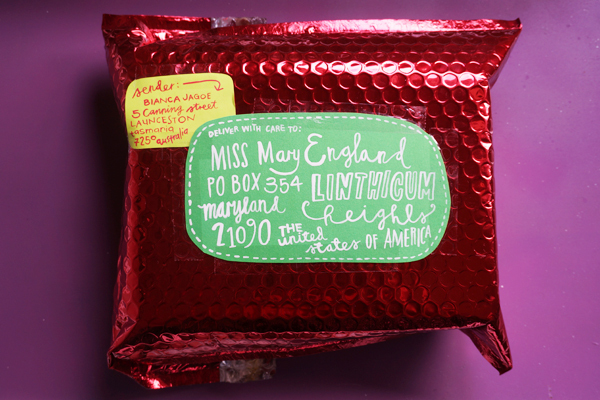 I see lots of lovely blogs about mail popping up (like Letter Loves) and it makes me happy to think about the wonderful correspondence they are having with people that they've never met, who live in other parts of the world. 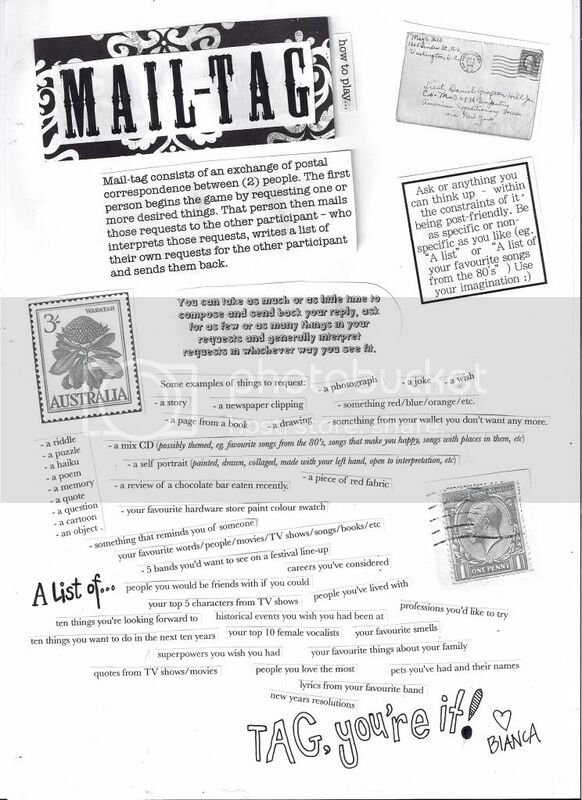 I loved playing mail tag - it was a game that I started based on a really great TV show called Our Hero and there are lots of people out there still playing it. Writing letters really made me feel more aware of the world - of the differences and similarities between places and people (and I am so much better at geography now). It gave me a social outlet when I was quite antisocial. There are some people I've written to (like Missive Maven) who I felt like were total kindred spirits. Letter writing is wonderful and so enjoyable and one day when I have more time I'd like to write regularly to half a dozen people (at one point when I was writing letters I had a backlog of over 100 letters to respond to). I still receive beautiful mail and when I can, I like to try to at least make a fun postcard to send back to people who write me ridiculously kind things (like Monica in Chicago) or send me ridiculously lovely things (like Maria in the UK). If you've sent me something and I've not responded, I do apologise - life at the moment is not very conducive to letter writing, but I really appreciate each lovely epistle that has been sent my way. 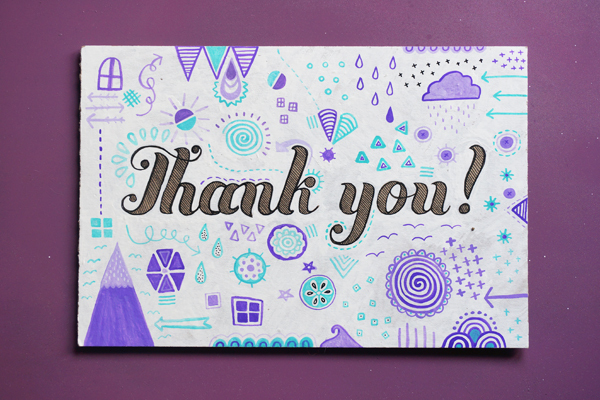 Who was the last person you wrote a letter to?